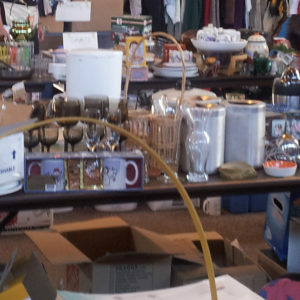 Come sell your gently used treasures and find new ones! TEMV is holding its first-ever Community Corner Flea Market on July 24, 2016, from 8:30 a.m. to 2:00 p.m. Anyone can rent a table at the event for $30 in order to sell their items. Sellers set their own prices and keep the proceeds from anything they sell, beyond the cost of the table. The event is free for those who wish to shop. Contact yardsale@temv.org to reserve a space or for questions. Don’t miss this exciting event!